Neighborhood Chairs From Paloma’s Nest Double As Dollhouses! We’re guessing Paloma, daughter of the creators of design and heirloom keepsakes company Paloma’s Nest (check out their beautiful ornaments), has some stylish seats to put her tush on, and now your kids can too. The company’s Neighborhood line of chairs, available in three different styles, add instant eco-style to a playroom or family room and will give kids a subtle lesson in architecture and design. Bonus: they double as dollhouses! The craftsmanship behind these kids’ chairs is anything but child’s play: they are made entirely by hand from non-toxic birch plywood and finished with a non-toxic natural varnish. And it’s clear that designers Caroline and Jose are parents: instead of using screws and nails, the chairs fit together with wooden biscuits and hidden joints, meaning safe seating for little ones. The Colonial House Chair by Paloma’s Nest includes classic Americana style with square windows, a slanted roof, and class chimney. The Modern features an edgier, more minimalist silhouette with three small cut-out windows, but still maintains a comfortable shape for kids to sit in. The Victorian includes romantic, dollhouse-reminiscent details such as arching cut out windows and doors and a turreted roof. Whether you stick to one style or create a neighborhood with mismatched chairs, kids will love these chairs that double as houses for their toys and dolls. 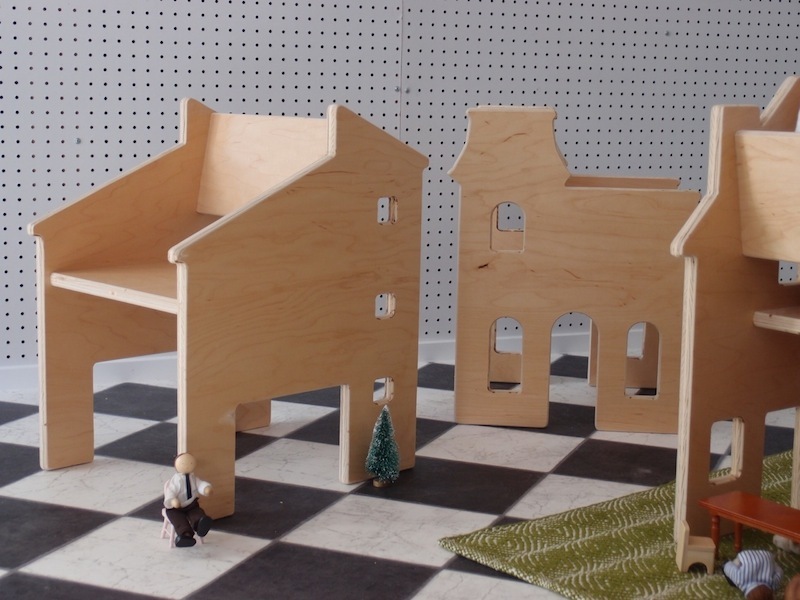 Neighborhood Chairs From Paloma's Nest Double As Dollhouses! The Colonial House Chair by Paloma's Nest includes classic Americana style with square windows, a slanted roof, and class chimney. The Modern features an edgier, more minimalist silhouette with three small cut-out windows, but still maintains a comfortable shape for kids to sit in. The Victorian includes romantic, dollhouse-reminiscent details such as arching cut out windows and doors and a turreted roof. Whether you stick to one style or create a neighborhood with mismatched chairs, kids will love these chairs that double as houses for their toys and dolls.